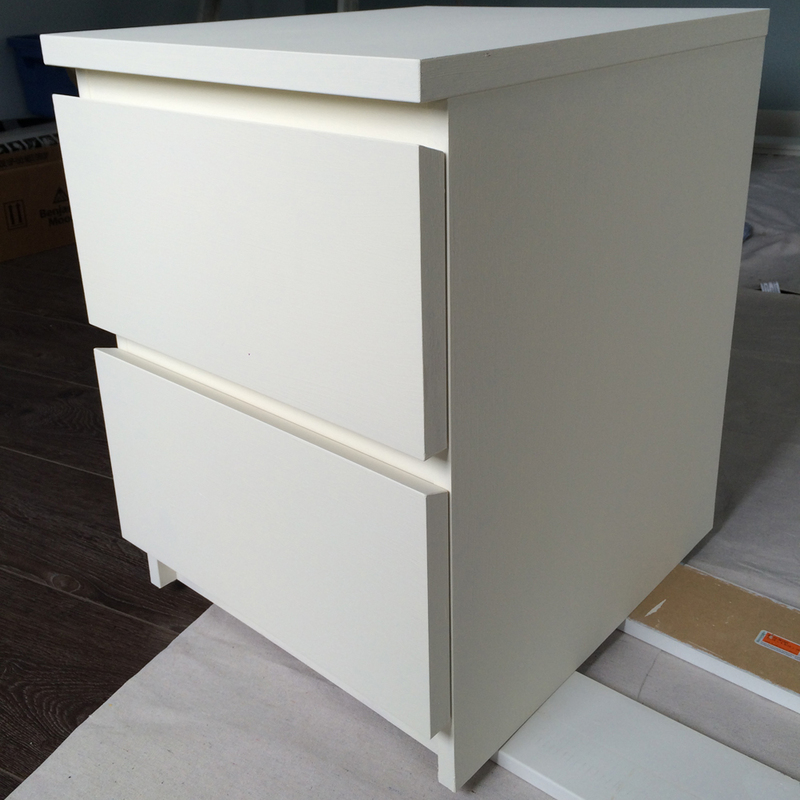 For anyone who is a frequent shopper, and by that I mean purchaser, of IKEA furniture, you know the MALM series. In my house, the only thing more prevalent are the BILLY bookcases. I have always earmarked my cash for other things. I am as likely to buy groceries for one night of dinner that cost as much as a piece of furniture. Priorities. Update – check out “Billy needs a facelift“. Fixing up what we have is the name of the game. I can do this. Let me be clear, I am capable of doing it. Not that I have any experience in making anything look good. As luck would have it though, my Aunt told me about Annie Sloan paints and I enrolled in a class last week at The Passionate Home. 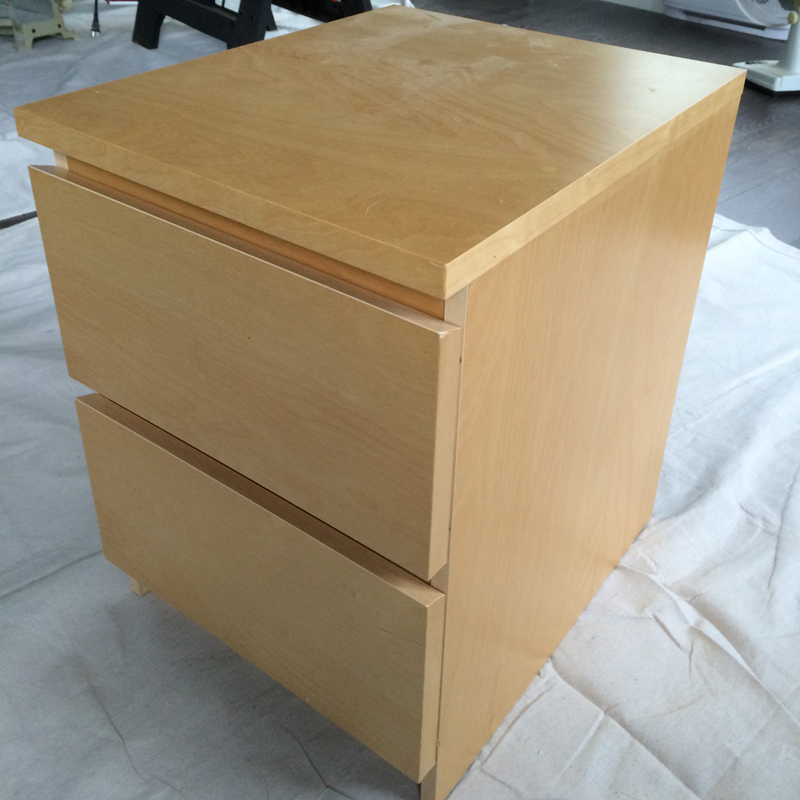 Then I bought everything I needed and I started with the MALM night tables. Then I scuffed up the surface with a little sand paper, light grit 220. You are not supposed to need this step, but with laminate you never know. 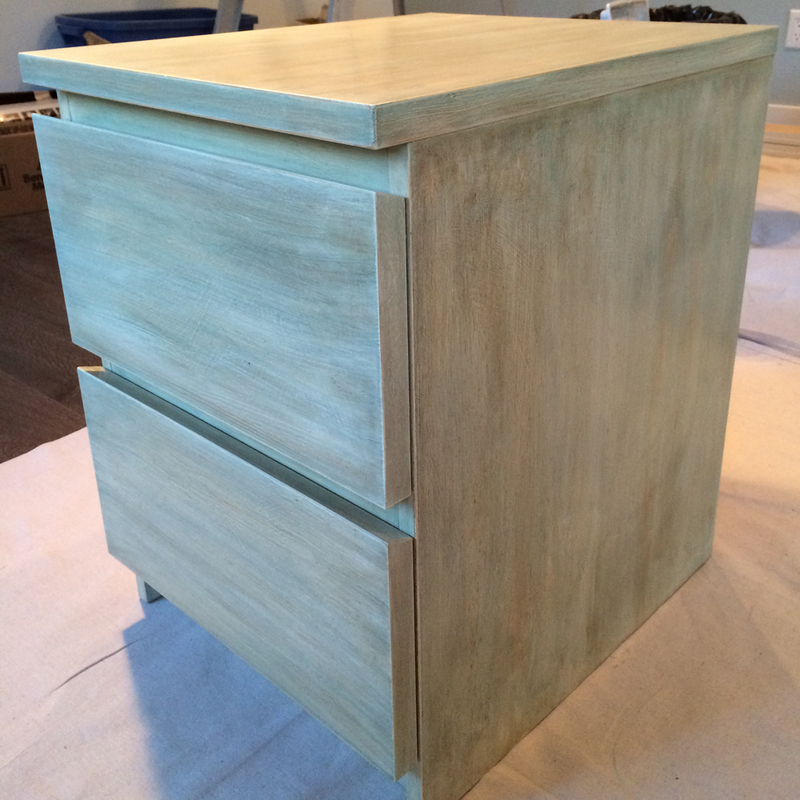 Then I applied 2 coats of “Old White” paint. First coat was a slap dash affair, painting any which way. (As Annie Sloan advises). I added the second coat because I wanted pretty full coverage. That one was done with the “grain” of the wood. 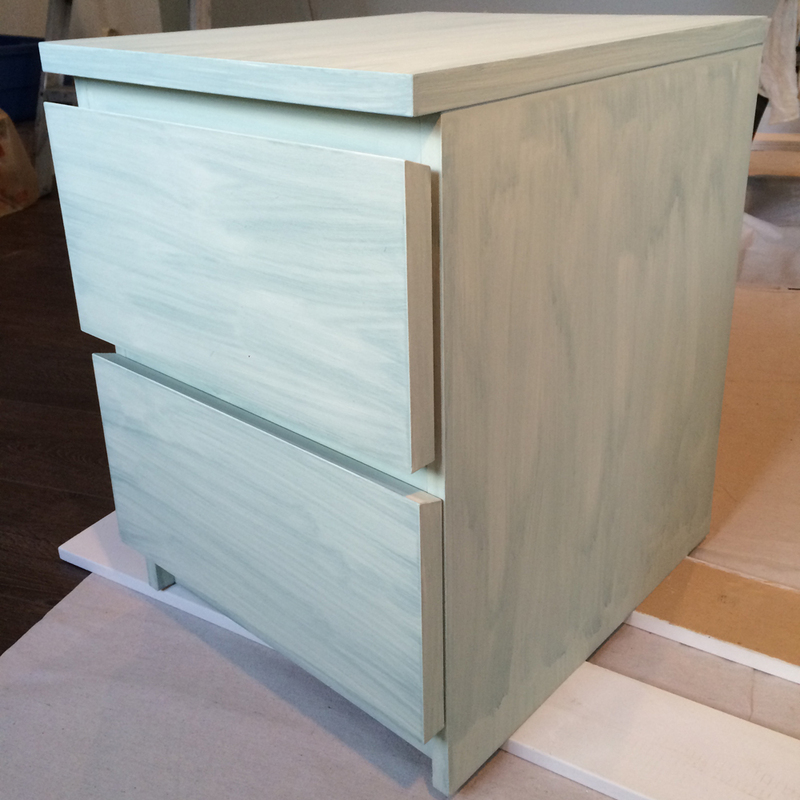 Next I applied a wash of duck egg blue. That was like one part paint to 4 or 5 parts water. Also applied with the grain of the wood. And not too fussy if the coverage was a little uneven. So I’m pretty impressed already, but lots of steps to go! 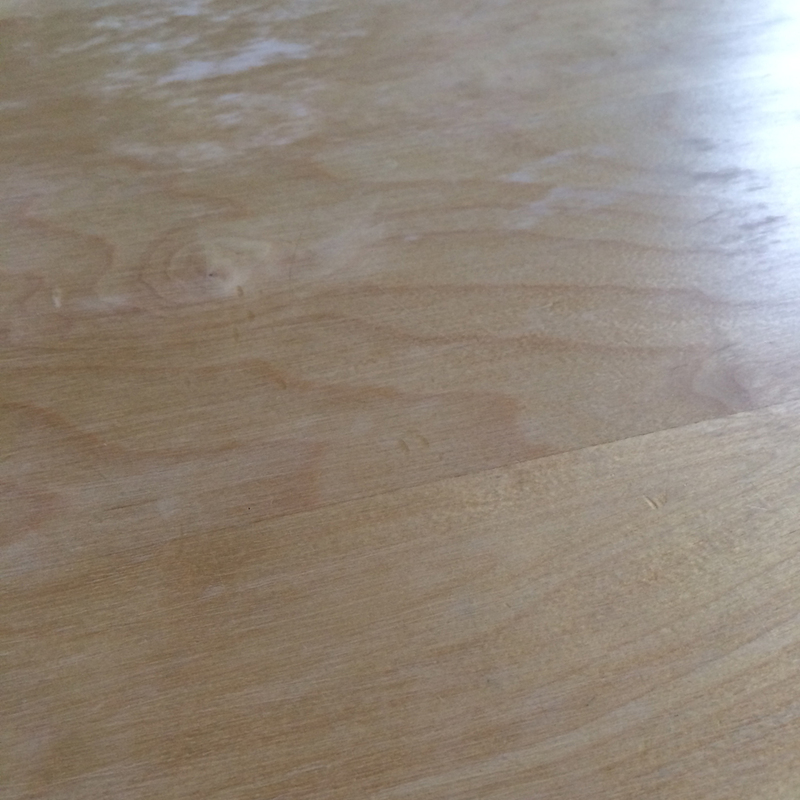 I also applied a coat of clear wax and then I sanded the whole thing with 220 grit sand paper. By adding the wax first, (as Annie Sloan suggests), I used way more sand paper than I thought, (almost ran out), but there was virtually no dust. HUGE bonus. Last step of the project was another coat of clear wax and then a really dark brown wax. For that you need a steely resolve, a quick hand and lots of cloths to wipe it all away. If you get too much brown wax on the section, then another clean cloth with clear wax takes it away. Good thing for lye soap! (That cleans it all up, including your hands). I really like the way they turned out. They look like something that cost a whole lot more than my investment of time and paint. They look real, which they are not. So the IKEA furniture renewal in my house has begun. 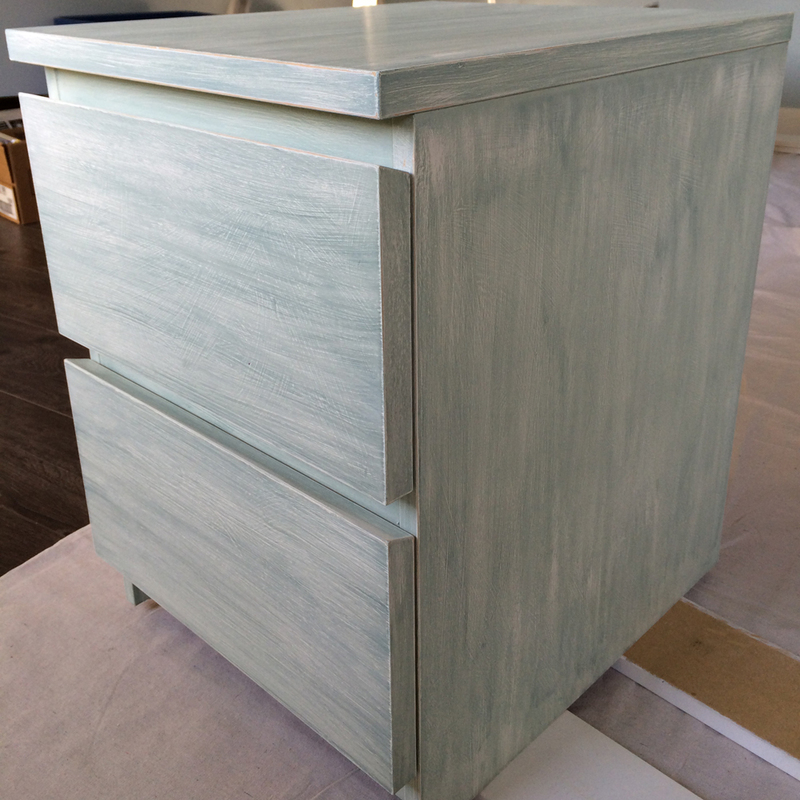 As I look around and think about our pieces, (we do have some real wood ones as well), there is so much to paint…and so little time! What’s up,I read your new stuff named “The MALM Transformation – daily creatives” daily.Your writing style is witty, keep it up! And you can look our website about تحميل مهرجانات شعبى.